If you are looking for Paradise - honestly, look no further. This place could not be any more perfect if it tried. Ok, maybe I would change a couple of things, but it comes pretty damn close to perfection! If you love white beaches, crystal clear waters, culture, relaxation and a 'back to basics' way of life, you will love it here. 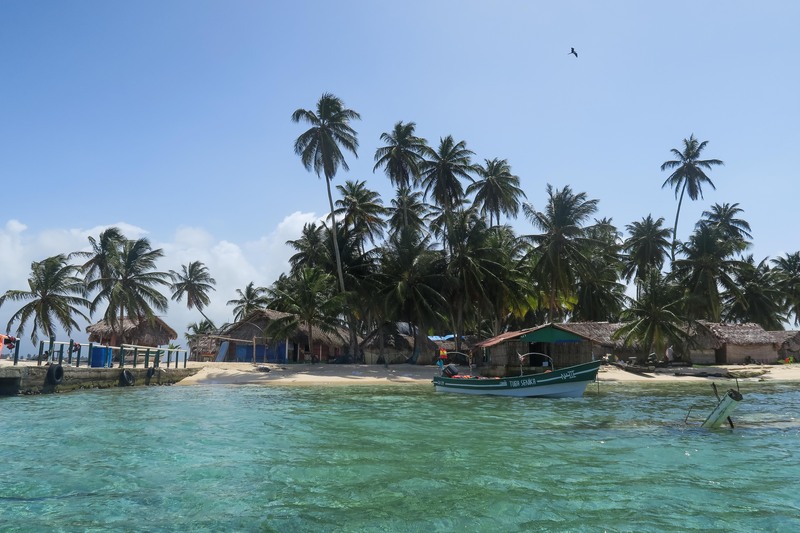 The San Blas islands are not for everyone. It gets hot. Very hot. And it isn't 5* accommodation either. 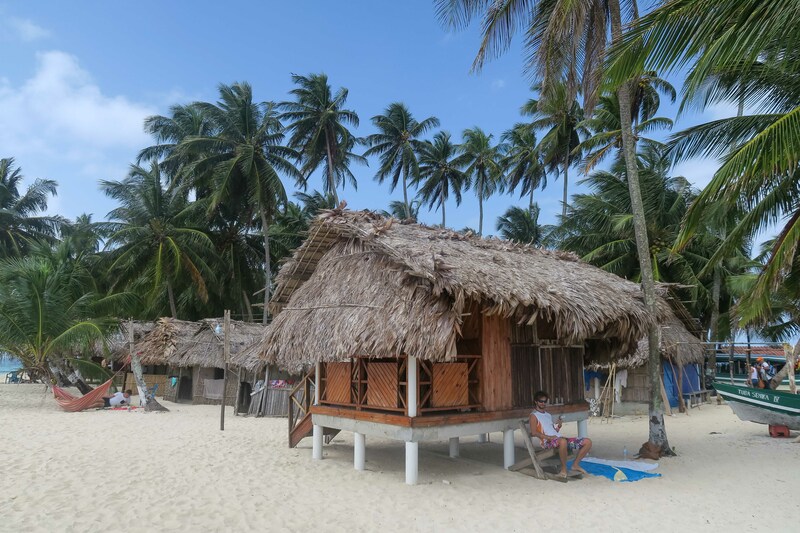 You stay in huts made from palm tree leaves, eat basic meals of fish & rice and often stay in dorm rooms. But all that aside, it is a wonderful place to relax, unwind and read a book on the beach (in the shade!). The food consisted of eggs & bread in the morning for breakfast at 7am. Rice with salad and fish for lunch at 12. Then usually rice with salad and fish (or sometimes chicken) for dinner at 5pm. I recommend that you bring some snack with you. The portions were enough to fill me up, but I found myself peckish throughout the day and especially in the evenings before bed. 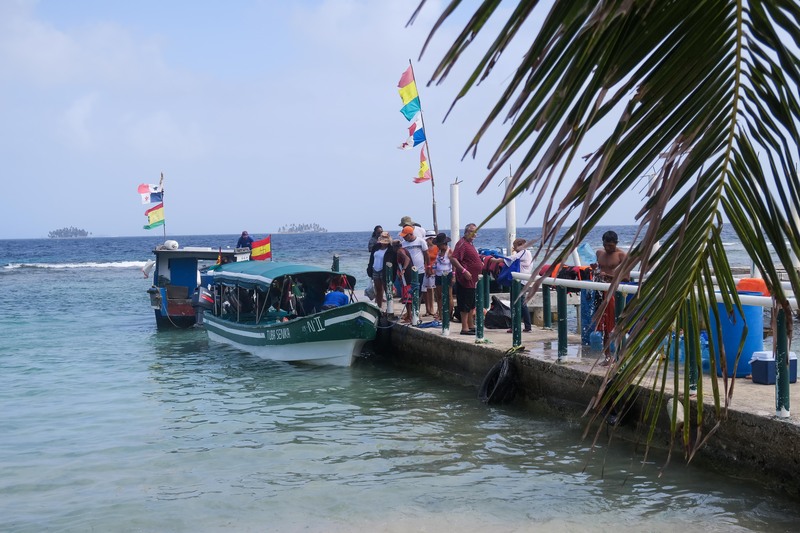 The island offers 3 hour San Blas tours for $15 where you visit an island with a sunken ship to snorkel, a "swimming pool" which was a patch of underwater sand in the middle of the ocean (almost like a flooded/underwater island) and another small island with star fish. We did this day trip once and it was good fun. We saw other tribes women, souvenirs for sale, lots of other tourists and some cool fish! It was definitely worth $15 but I'm not sure I'd do it twice. Read my post here about the Kuna Indians. 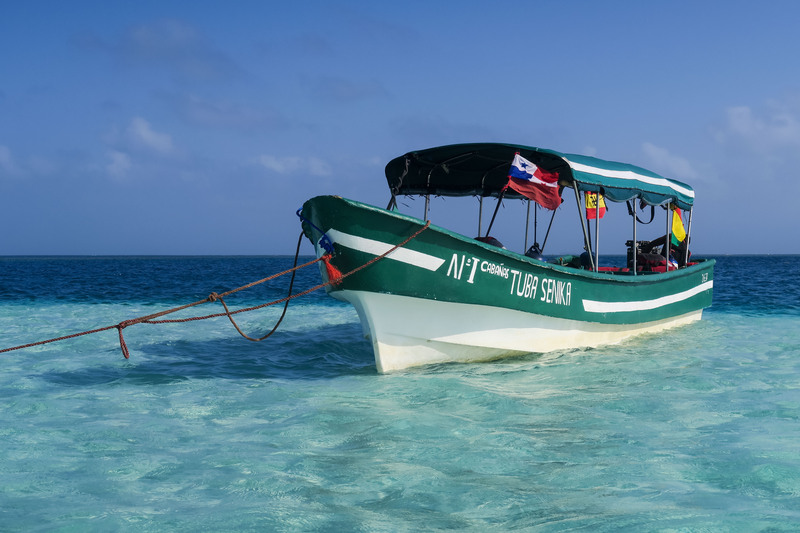 If you are looking at San Blas tours, no doubt you have found the ones that cost around $150 for a day trip or around $450 for 4 days island hopping. These are great trips for people who have a bit of money to spare. But for anyone like me & my husband who wanted to experience the San Blas tours, without paying a fortune, here is what we did. Go to Hostel Mamallena in Panama City and speak to the front desk. If you say you want to book a trip with them, it will cost around $300 per person, but if you say you read online that they can get you in contact with a driver and a family, it will cost you way less. You can either stay there the night before your trip or ask the driver to collect you from your hotel. Set off time is at 5.30am! (All prices are per person) - They charge $70 for travel from Panama City to the harbour by car. $20 to get into Guna Yala territory. $2 for the harbour tax. $10 for the boat trip to the island one way. Then $25 per night. The $25 per night includes 3 meals per day and shared dorm room accommodation. There are several 'families' you can stay with but we stayed with The Franklins. They say it's a family but in fact the island was split in half. Half was supposedly The Franklins, the other half I'm not sure, maybe another company. One night will cost $137, two nights will cost $162, three nights will cost $187, four nights will cost $212 and so on. As you can see, it's around half price compared to tour companies. And the longer you stay, the cheaper it all becomes per night if that makes sense. How long you stay really depends on you and your budget. If you go with the option I mentioned above and do it the cheap way, you can stay for longer for the same price as an "organised tour". We stayed for 4 nights and I think it was a good amount of time. Any longer might have been too long and any shorter might have not been long enough. Staying 4 nights meant we had enough time to really relax and unwind. It also gave us enough time to get sick of eating rice with salad & fish twice per day haha! Most people seemed to stay 2 or 3 nights but I heard someone saying that she is staying 10 days!! She must have really needed a holiday!! I have my backpack packed for 6 weeks away but when I was on the San Blas islands, I wore the same things everyday! I have maybe 5 or 6 bikinis packed with me but wore 1 on repeat. I did this as there isn't a lot of space to dry clothes, but also I didn't want 5 different tan lines! Ha! Also, I had 1 dress for during the day that I would wear over my bikini for meals etc and another dress I wore in the evenings after my shower. This meant that the rest of my clothes stayed dry & clean in my backpack and I didn't have to pack or unpack much. There is honestly so little to do apart from sleep, relax, read, eat and swim that you don't need a different bikini for each day etc. Inflatable unicorn for Instagram pics - half joking! People actually had silly inflatables and spent ages getting the perfect candid shot! Guitar - there was a camp fire every night and I'm sure a guitarist would have been appreciated! We had a fantastic couple of days away. Although I got really sunburnt on the first day and couldn't really snorkel or enjoy the beach for the next couple of days, we had a lovely time relaxing. We spent our days together, reading in the shade. It was nice not to worry about food, travel or accommodation as everything was organised for us. 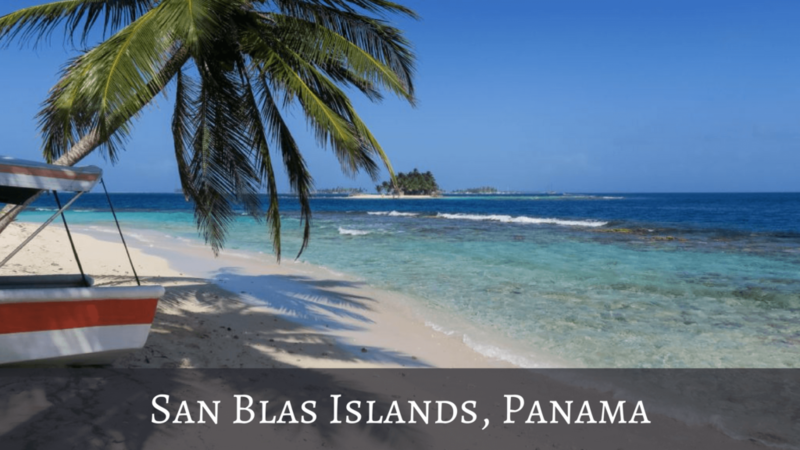 I would highly recommend the San Blas Islands to anyone visiting Panama. It is an actual paradise and such a lovely place to relax for a couple of days. If you have a bit more money to spend, I would recommend renting a sailing boat. This way you can visit lots of different islands whenever you want.. maybe next time! I hope you found this blog post informational and inspired you to travel a little bit more! Hi Rosie, great post! Thank you for sharing your experience. We are going to San Blas in a few days and this information is very helpful. I have a question: How much did the boat to the island cost? I read somewhere 10$pp in each direction, is this true?